Amidst my undying desire to reach for higher and more challenging mountains, an inner voice keeps reminding me not to forget those low, beginner-friendly peaks nearby. 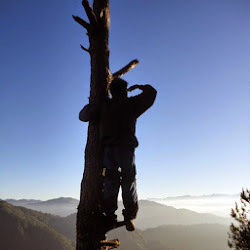 Nakaka-miss din ang mga minor climbs ng Southern Tagalog. Actually, it's been a while since I last climbed a minor mountain. All these major climbs that I've been doing in the past 3 months is, somewhat, tiring. Tama, napapagod din akong umakyat! So I thought, a break from all these is what I need, an easy hassle-free minor climb. I should climb Mt. Gulugod Baboy! 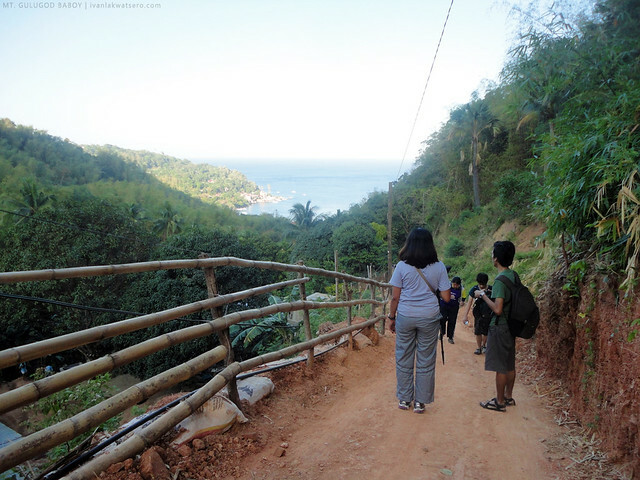 It was still too early in the morning when we arrived at Philipan Resort in Anilao. The sky was so clear, not a single sign that rain's gonna drench us and make the trail muddy. Clearly, it was a perfect day to hike Mt. Gulugod Baboy. Lalo akong na-excite na umakyat. | From Manila, take a bus bound for Batangas Pier, tell the bus conductor to drop you at the Grand Terminal, travel time is about 2 hours and fare is Php160 something. Then from the Grand Terminal, ride a jeep to Mabini, travel for another hour, fare is Php30+. Once at Mabini, ride a tricycle to Philpan Resort, fare is Php80+ one way. Alternatively, if you're traveling with a big group (13 pax or more), you can just hire a jeep from Grand Terminal then ask the driver to bring you directly to Philpan Resort, Php80-100/head only. 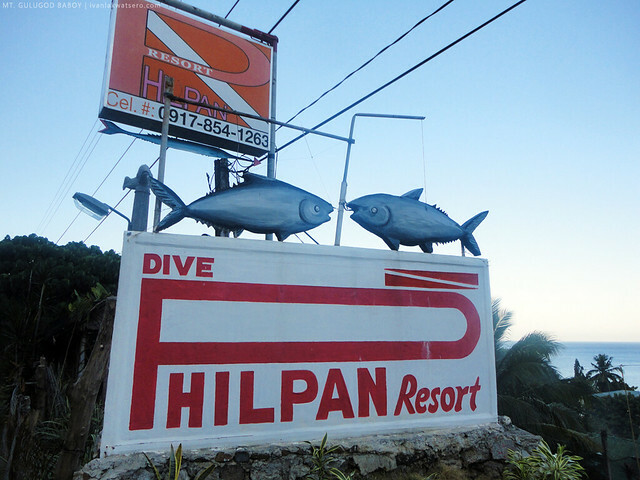 PhilPan Resort in Anilao, Mabini, Batangas is the jump-off for Mt. Gulugod Baboy. We arrived 7 in the morning. 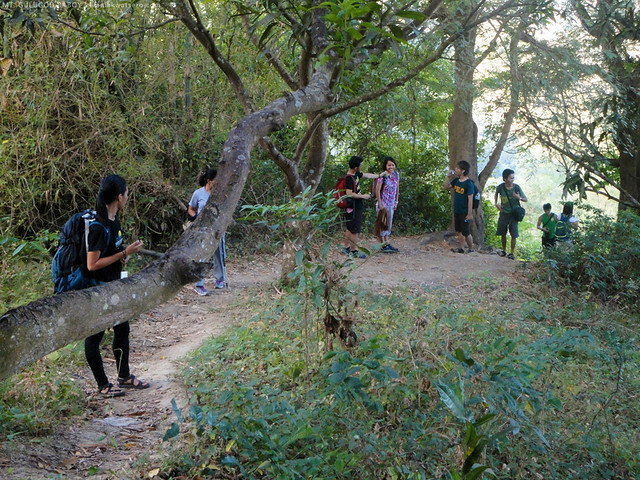 Our trek up to the summit of Mt. Gulugod Baboy was, however, too easy and quite uneventful — lasted only for about 1.5 hours and mostly spent on resting stations that we passed by (maraming resting station na madadaanan paakyat na nagbebenta pa ng palamig at halo-halo). The trail is pretty much straight forward and the ascents were highly manageable. No doubt, Mt. GB is the beginners' favorite. there's no way you'll get lost on the trail of Mt. GB. it's wide and pretty much obvious, and if you're unsure, you can always ask the locals you'll meet along the way. The hike was so quick that even before I realize that we've started hiking up the mountain, the grassy summit area was already there in front of me. I guess, for an experienced hiker, Mt. GB could be done in just an hour, or even less, ganun siya kadali! 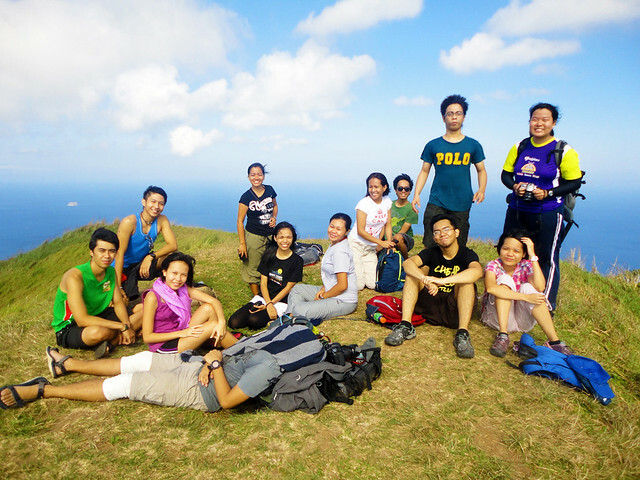 Campers, grazing cows, and cool breeze greeted us as we summitted Mt. Gulugod Baboy at 08:30 AM. And as expected from an open grassy summit, the view was really nice. There's a panorama of the surrounding mountains, Batulao (W), Maculot (N-NE), Banahaw Complex (NE), Banoi (E), and the Mindoro Mountains (S). there's the lonely tree, medyo tumagal din kami diyan for photo ops. Our hike in Mt. 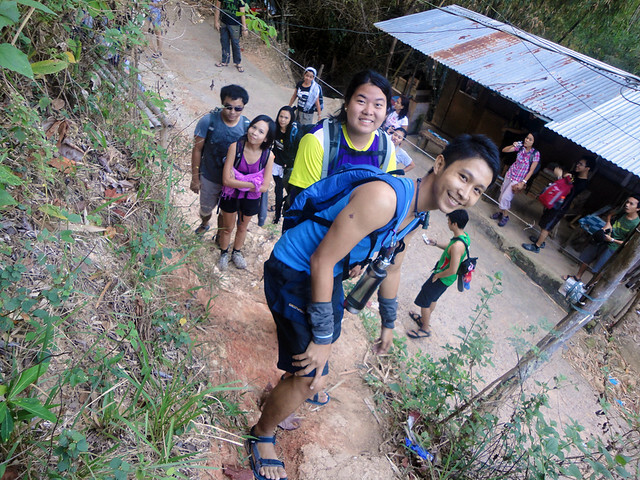 Gulugod Baboy was done easily and quickly, certainly gave me a good break from my major hikes. 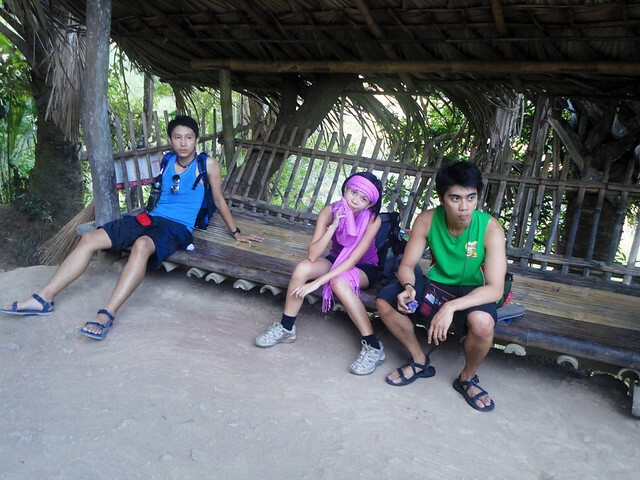 And somehow, it made me realize that hiking is not always (or not at all) about hiking the difficult mountains alone. 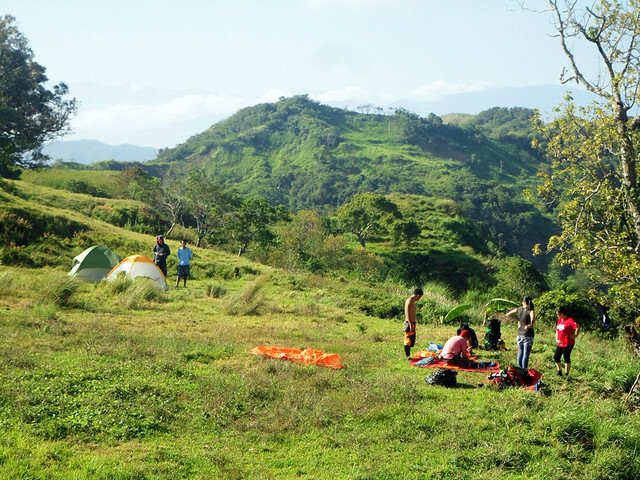 To really have a wonderful hiking experience, there should be a mishmash of both ends: the difficult and the easy mountains, the long distance and the short distance treks, the high and the low peaks. Wala lang, just sharing my thought. Anyway, after a series of jump shots, wacky shots, selfie shots and group shots, we started descending the mountain—excited for the Sombrero Island side trip (follow the story of our sidetrip to Sombrero Island here). 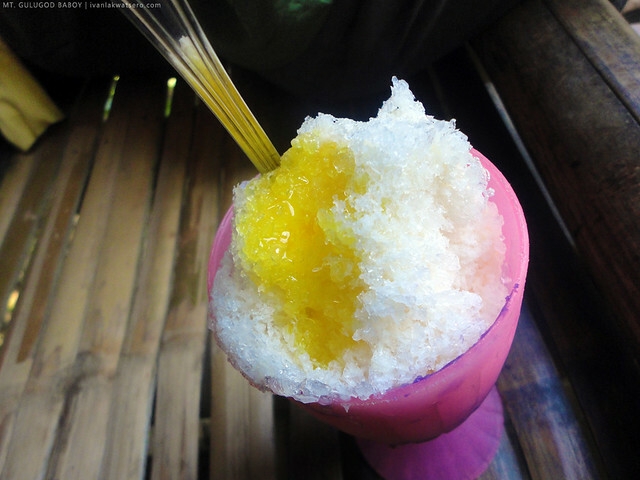 on our way down, we tried the halo-halo. oh it's one of the bests! Done with Mt. 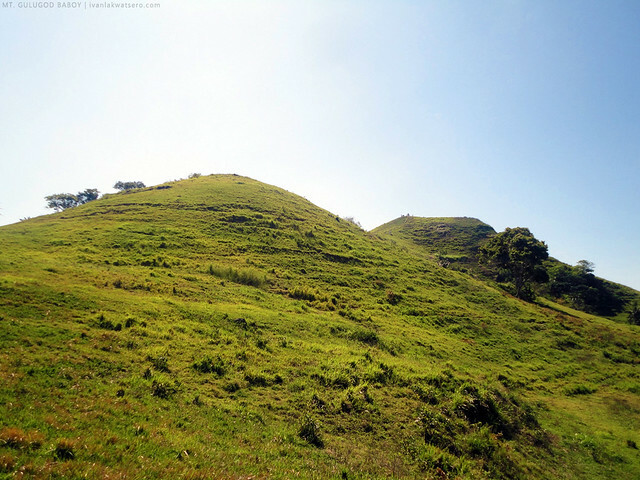 Gulugod Baboy, my 37th mountain. 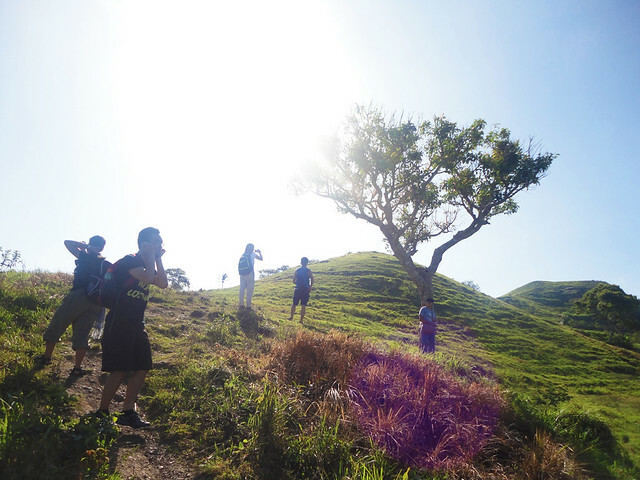 I would like to thank all who joined this hike: my climb buddies, Dawn, Mam Joy and Roge; my Tramping Philippines buddies, Dane, Agnes and Ron; fellow blogger, Marx; and new friends, Leah, Jear, Joshua, Christine, Myra and Dolor. Woohoo, sa uulitin! 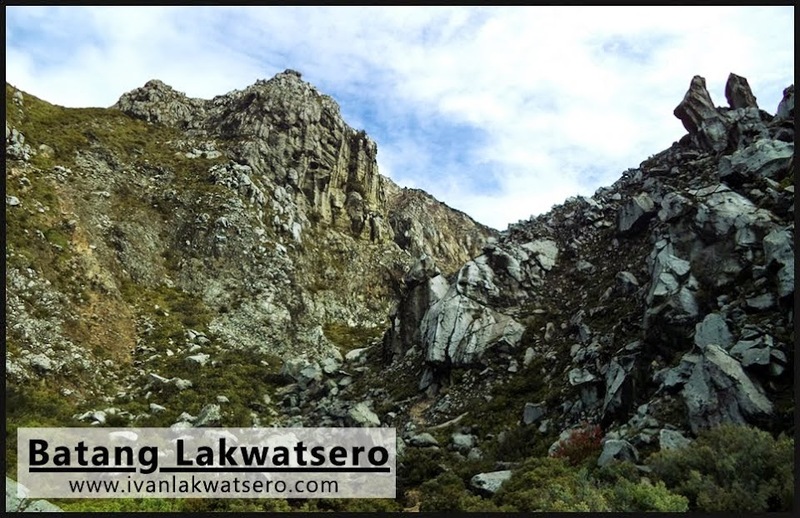 Ok sana magBasa dito kasi kumpleto, di lang kanais nais sa mata yung mga word na easy climb, sobrang dali.. ang yabang ng dating ng blogger. When I say, "it was an easy climb" it really is an easy climb with no intentions of being mayabang, but if it sounded "mayabang" to your ears then I can't do anything about it. please keep in mind that blogs are just an account of personal experiences. It does not represent the actual/universal description of a mountain, but rather just an idea/opinion. Take note also that the term "easy" is highly subjective. Wise readers should know. I support Ivan's reply. I hope you Akyat Panaog will look into your own experience as well. Mr. Cultura shares his stories from his viewpoint, he may not claim to be a major mountaineer but if you'll look back, in his terms, easy climb is actually an 'easy climb' for non-mountaineers alike. There will always be creature with very trivial existence whose purpose is to troll around good blogs like this. Akyat Panaog, get a life. Totoong easy climb lang ang Mt.Gulugod baboy, sobrang bilis lang akyatin, yung friend ko na first timer easy easy lang sa kanya. 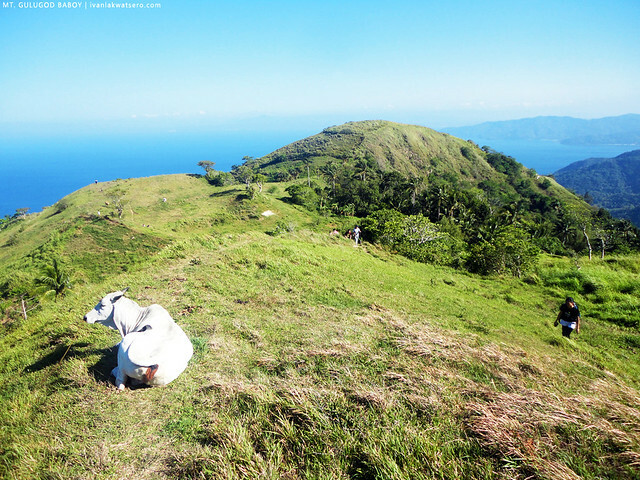 Pero maeenjoy mo sya as well as the view from the summit. Nagbabasa ko ng mga post mo sir, pro nkakairita yung mga post mo madalas. Hindi ko alam kung compliment para sa mga Newbie, o may yabang ka lang talaga kasi madami kana na-akyat ? Hoho..
Hoho.. No reason kung bat ganyan sagot. Di bale. nakita ko ung reply mo dun sa nagtatanong kung may contact sa gulugod baboy..and sabi mo po they can contact kuya globert..active p po ba siya ?i mean nag e-entertain pa po ba siya till now ? Kuya Ivan. Plano ko po magpunta dito this coming April. Kaso mag-isa lang ako. For experience lang, wala kasi akong makakasama. Beginner lang ako. Ask ko lang kung meron dung travel guide kasi natatakot ako baka maligaw ako. Please reply. Thank you. I am also planning to go here ALONE. I haven't climb any mountain yet, so I wanted to try. Self fulfillment lang. HiI stumbled upon your blog, and it spiked my interest since majority of blogs about GB require an overnight itinerary. I would really prefer a day trip, with the beach side trip. May I please know what your itinerary was and how much was the over all breakdown of budget? Thanks. Hi Ivan. We're planning to climb Mt. Gulugod Baboy then side trip sa beach. Kaya ba ng whole day lang yun? Can I ask for your IT? :) Thank you. Look forward for your response:) God bless you.